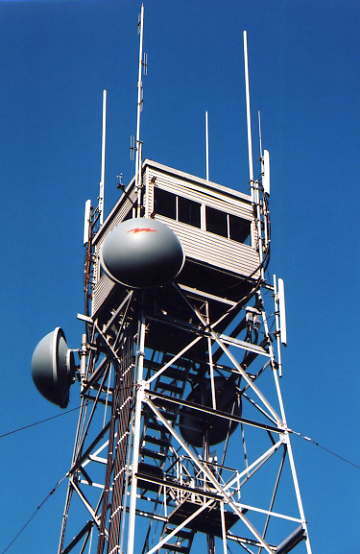 observers could spot smoke early and try to locate fires while still small. 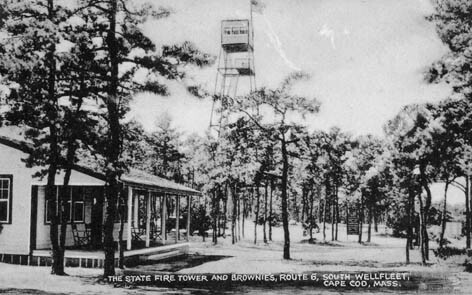 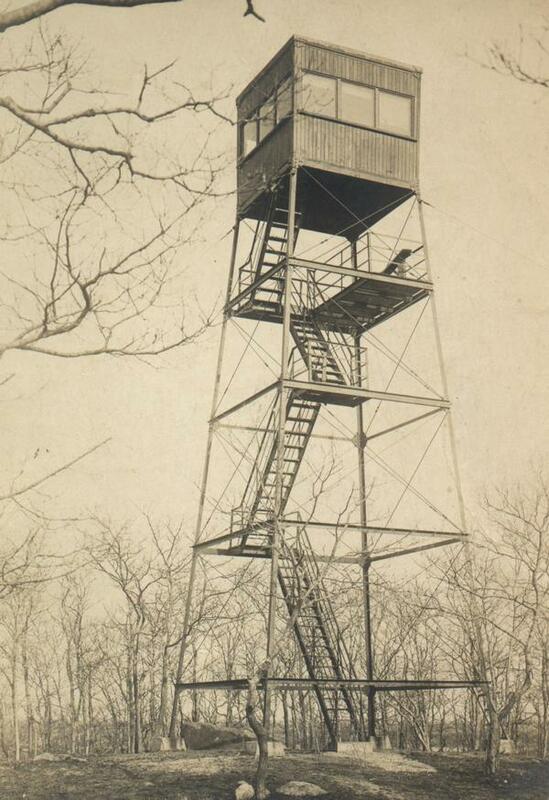 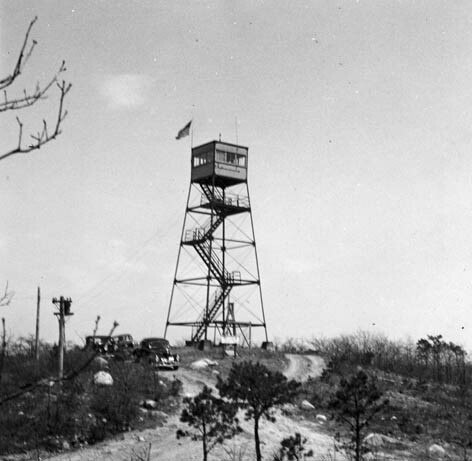 This tower was and still is located in Wellfleet. 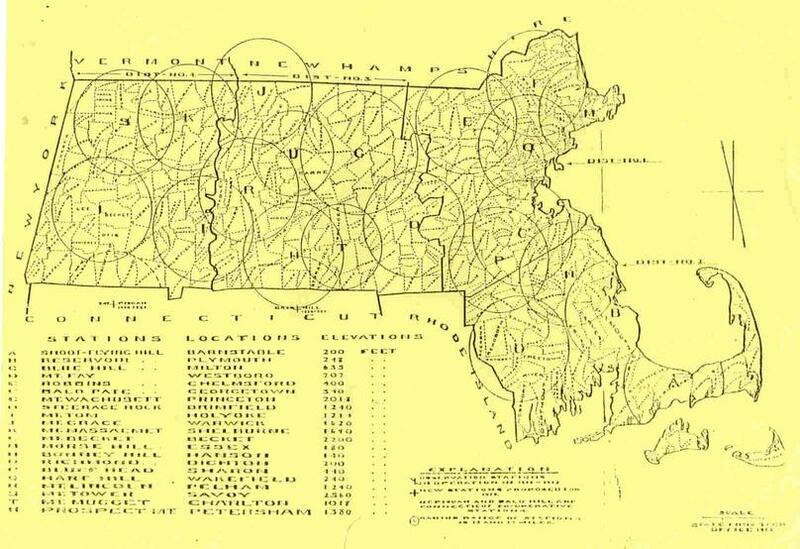 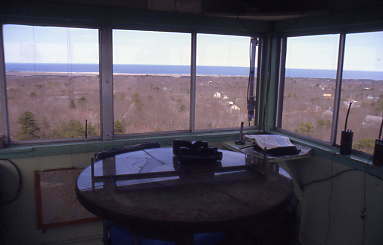 The Falmouth Fire Tower was constructed in 1914.
area. 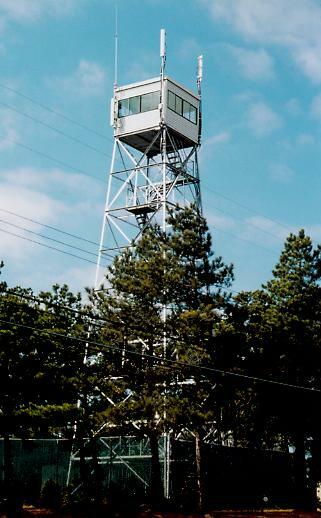 It is located along Route 6. 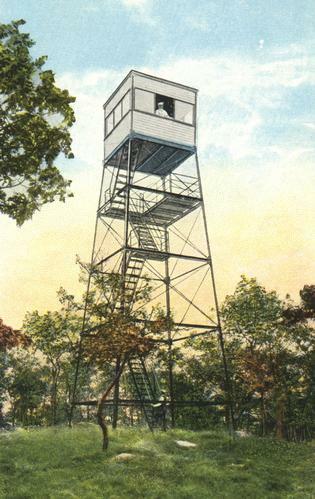 The trees are all grown up now. 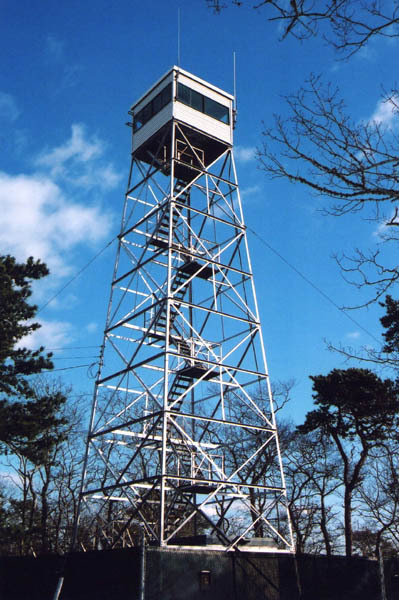 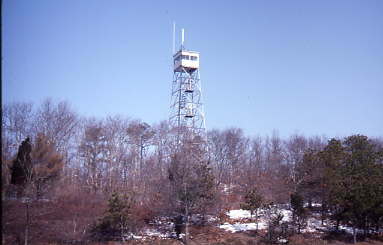 The Barnstable Fire Tower in 1992.
be located and communicated to fire fighters. 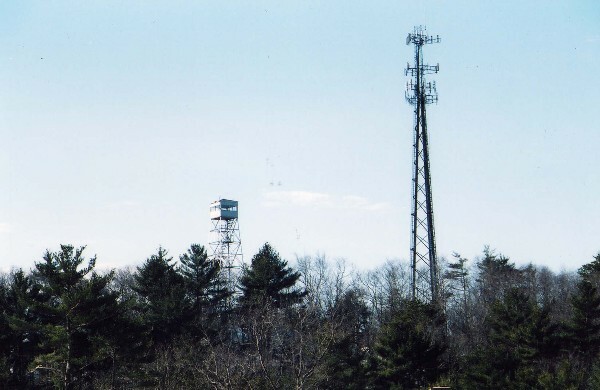 Another example of modern technology competing with the need for fire towers. 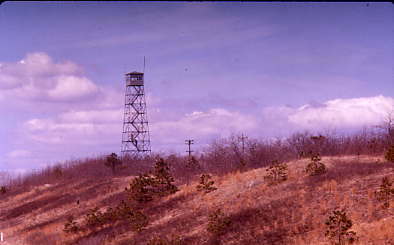 Locating and observing brush fires is key to extinguishing them before they get too large. 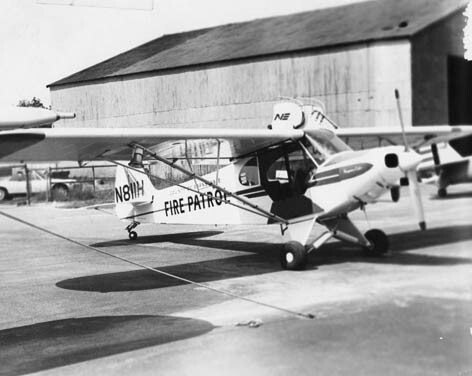 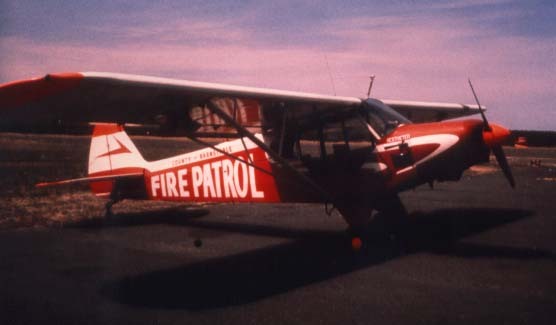 Barnstable County owned and operated a Fire Patrol airplane (P-18) for many years. 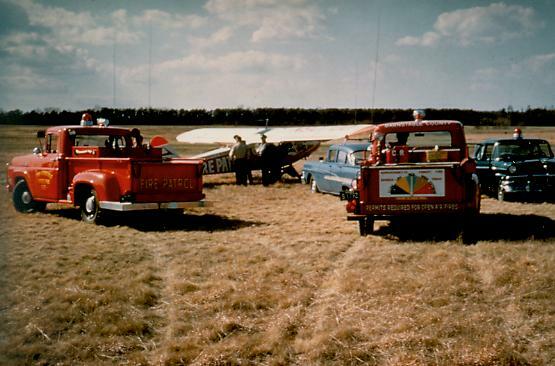 It could relay information on the size and movement of the fire to chiefs on the ground. 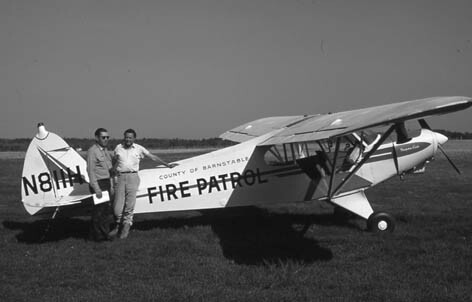 P-18 with pilot John Lemos and fire warden Robert Dottridge.